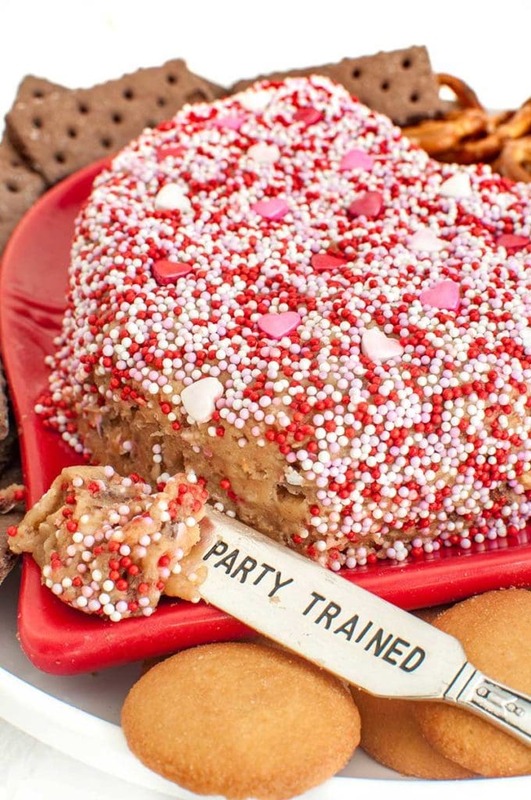 An no bake peanut butter cheese ball shaped like a heart and decorated in sprinkles for Valentine’s Day. Peanut M&Ms are crushed and added to give an extra crunch to this easy dessert recipe. 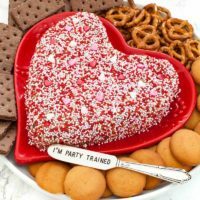 A dip may not be the thing that comes to mind to celebrate Valentine’s Day with, but I have dips for all occasions. 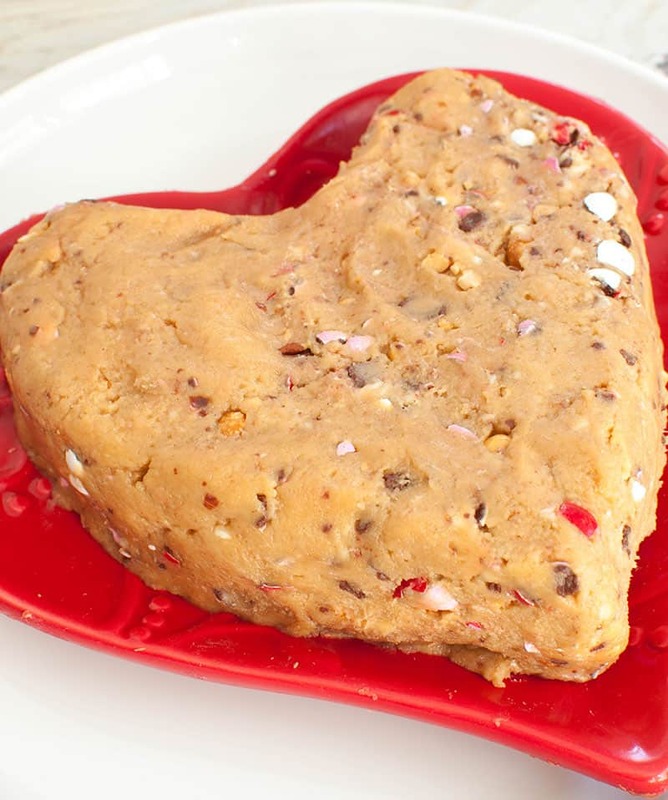 You must admit that this cheese ball is absolutely adorable! Seriously though, if you love peanut butter, you must add this one to your list. 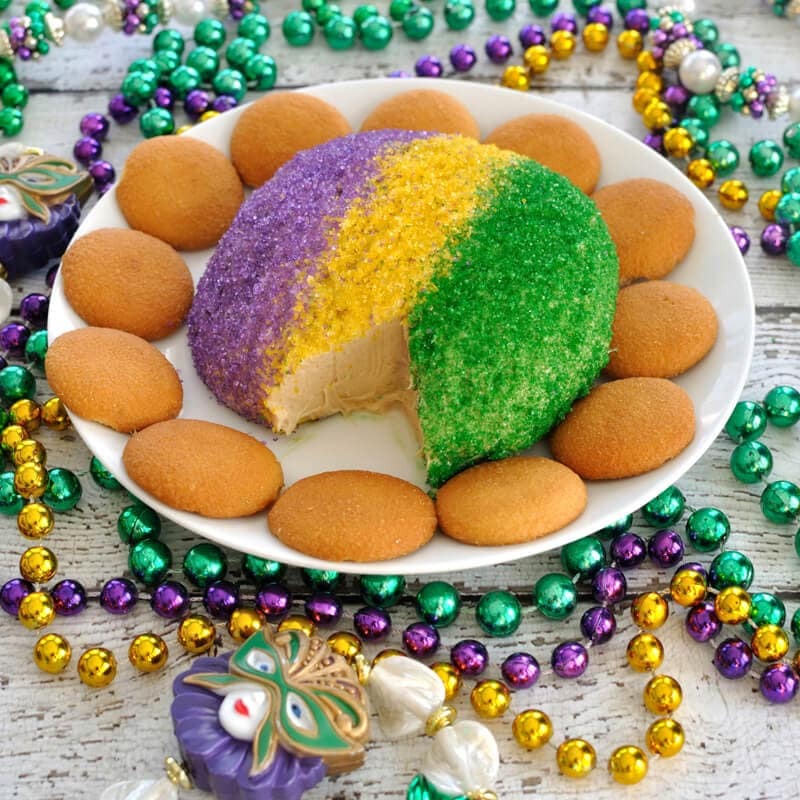 You can serve it as a round cheese ball anytime of year and just change up the sprinkle colors for the holiday or season. My husband and I ate on this thing all week until it was gone and it was SO GOOD! We ended up just using a spoon! How long will this cheese ball keep? This will last at least a few days in the fridge so go ahead and make ahead of time. 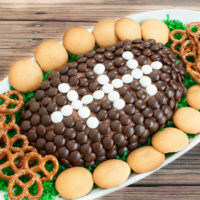 What to serve with a dessert cheese ball? 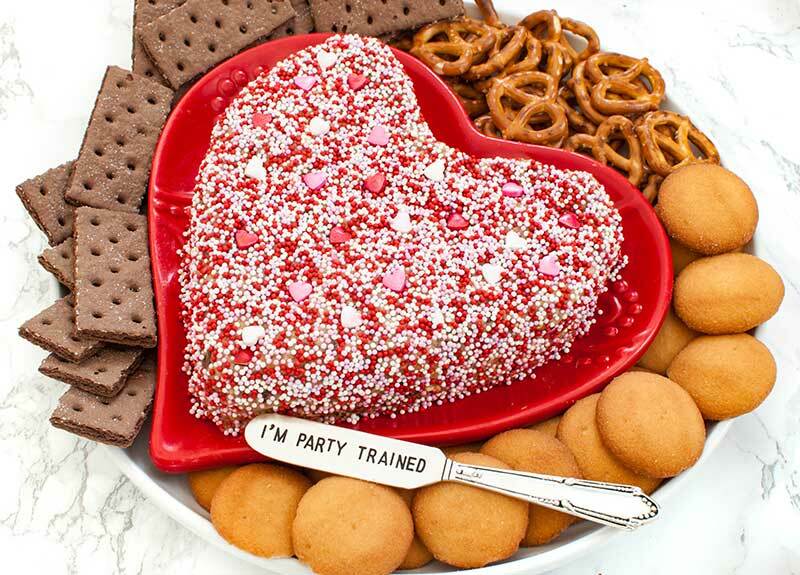 Step 5 – When ready to serve, place onto a plate, shape into a heart (if desired) and decorate. 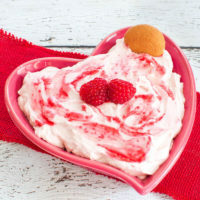 In the bowl of a stand mixer or using a hand mixer, beat the cream cheese until smooth. Slowly add in the powdered sugar and mix until combined. Add in the peanut butter and crushed peanut M&Ms and incorporate. 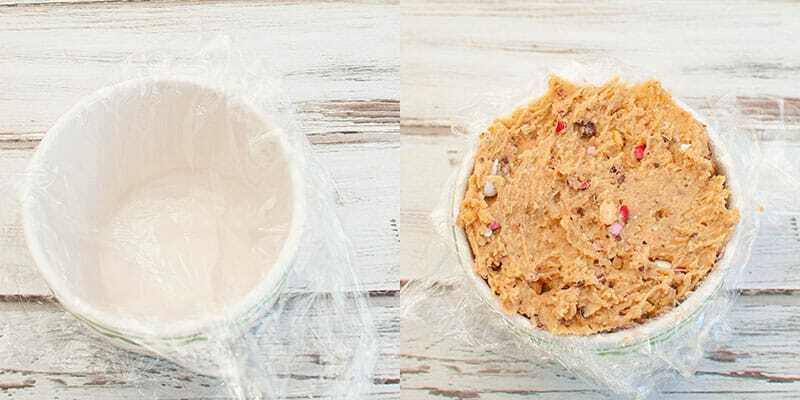 Line a small bowl with plastic wrap and place the mixture into the bowl. Cover with plastic wrap. Chill in the refrigerator for at least a couple of hours to firm up. Remove the dip from the bowl and place onto a plate. 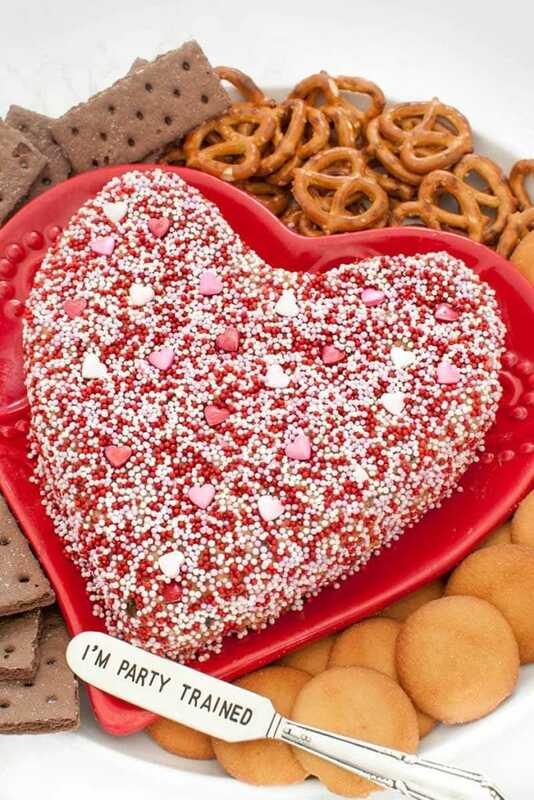 Shape into a heart and cover in sprinkles, chocolate chips or even M&Ms.